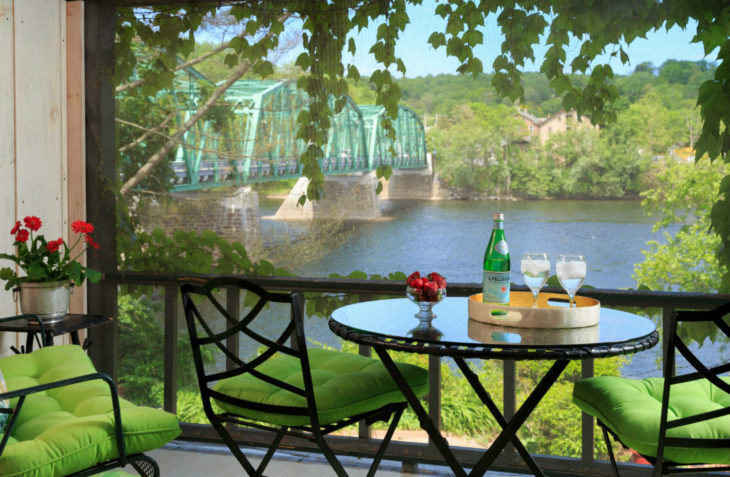 Located on the second floor of our hotel in New Hope, this wonderful river view room, though smaller than our premium rooms and luxury suites, has French doors that open to a lovely river front screened porch with rocking chairs. 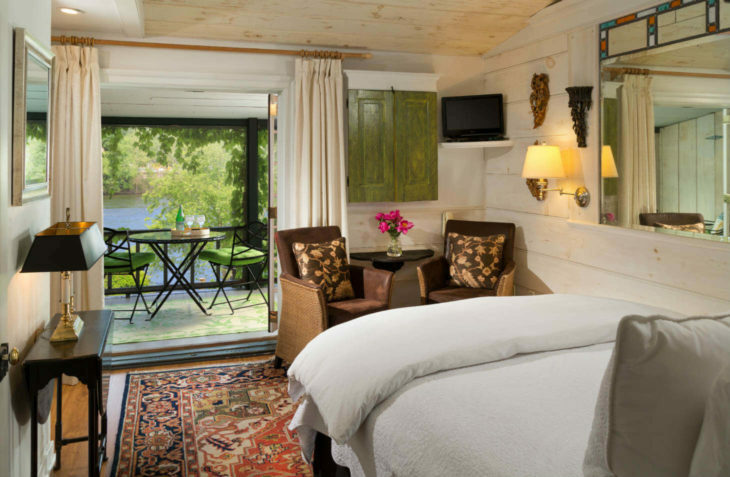 Relax in the queen size bed and watch the river flow. 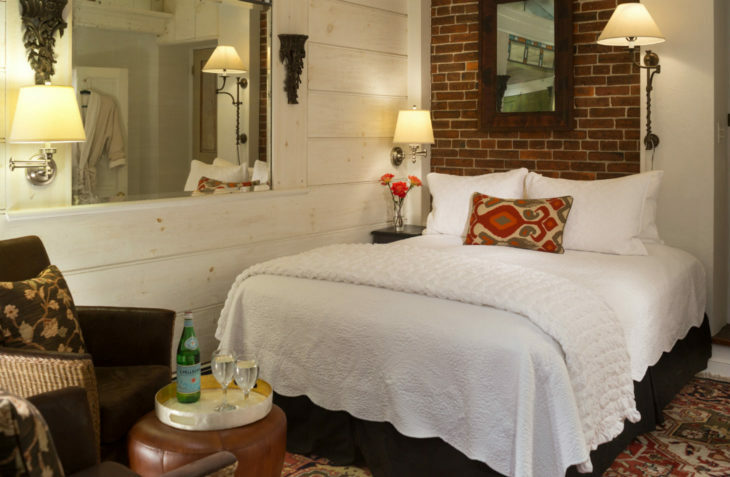 Room 5 has a TV and a private bath with a standard size fiberglass stall shower. Our multi-choice breakfast menu lets you order breakfast your way. 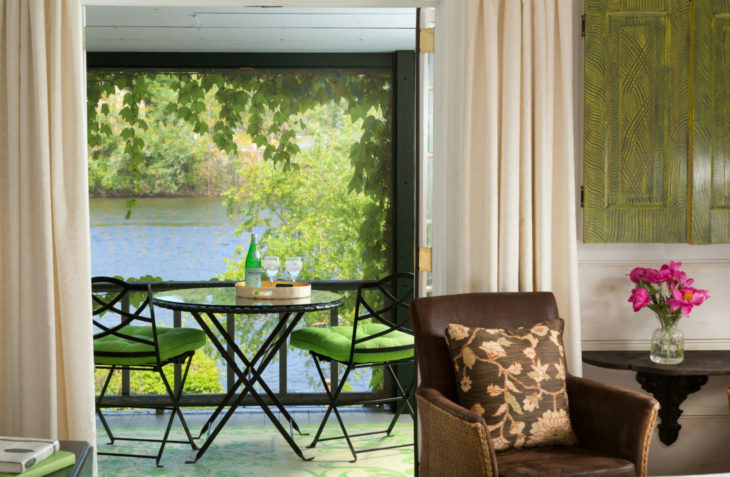 Enjoy breakfast in bed, on your balcony, at individual tables in the dining room or on the Riverside Terrace. 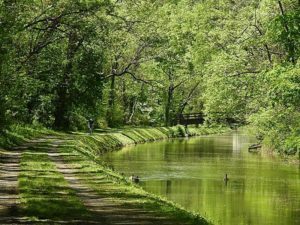 Join us in our top rated New Hope inn. Our honeymoon package combines a wonderful Filet Mignon picnic basket, with a beautiful mixed bouquet of seasonal flowers, and much more.